Combining brain activity and movements. The first system in the world that’s able to measure both finger and arm movements outside the scanner and on parts of the human body lying inside the bore of the scanner. The Oqus MRI system is designed for use inside an MRI room to operate next to the scanner without causing any interference. 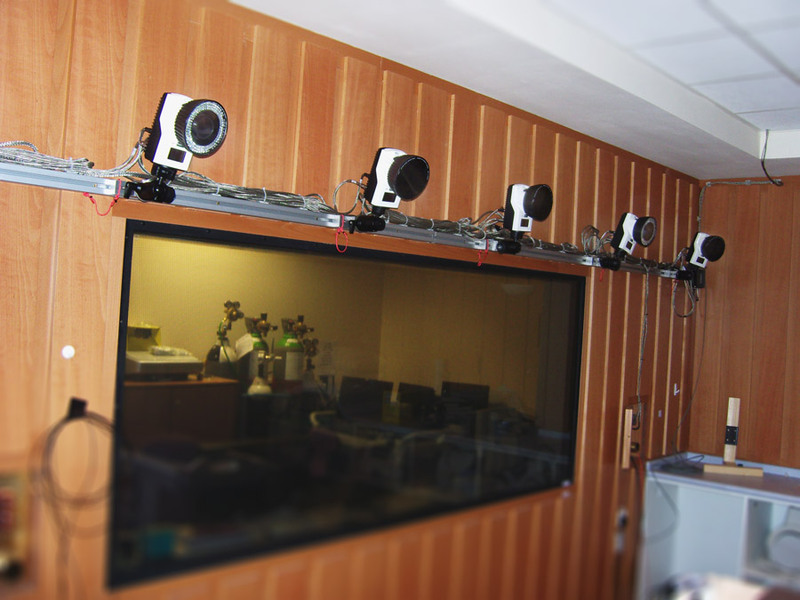 The unique setup at Cardiff University, with cameras both in the front and back of the scanner room, gives the research groups more flexibility than the standard setup with cameras only in front of the scanner. This setup means that, in addition to measurements outside of the bore, it is now also possible to measure movements inside the bore, for example knee movements. The setup also enables observation of head movements during a scan which can then be compensated for. Our goal is to use MR Imaging and motion capture to understand the displacement of the supporting structures in human joints under physiological loading and the effects of loading of the joints on pain and inflammation by imaging the brain. Dr. Cathy Holt, Biomechanics, Motion Analysis and Rehabilitation Team Leader, ARUKBBC, Cardiff School of Engineering, Cardiff University. — The MRI motion capture facility was funded by the Arthritis Research UK as part of our Biomechanics and Bioengineering Centre of Excellence. — We are developing functional and structural imaging techniques to determine markers of joint degeneration and response to treatment for osteoarthritis research.